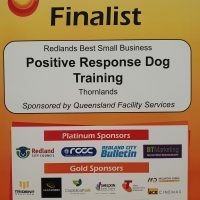 Below are just some of the awards that Positive Response Dog Training has achieved over the past few years. We are Finalists in the Redlands Best Small Business Category of the Redlands Business and Retail Awards 2018! 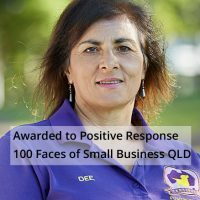 We were delighted to be named as one of the 100 faces of small businesses for QLD 2018. Yes, we did it again! We won this award 2 years in a row thanks to the great support from all our clients. Our clients have voted for the Harmony Harness two years in a row. If you would like to know more about it give us a call. 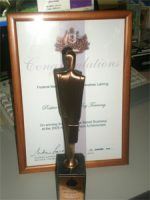 Dee has won the Best Home Based Business Award at the 18th Annual Business Achievement Awards for 2009. 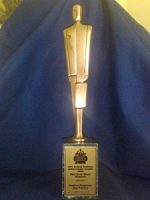 These awards are highly competitive and represent the pinnacle of excellence in the business industry throughout the Redlands. There were 108 entries in 2009 awards, 21 in this category. We won this award with a big thanks going to all of our previous clients that have voted for us. We won this award for the Harmony Harness; a truly fantastic product. A big thanks goes to all of our customers that have purchased this product and voted for us.